Registration has a cost of € 95.00 per person, includes lunch and certificate of participation. This WORKSHOP is limited to persons over 18 years of age. Note: Trainees should wear elastic work gloves, boots, waterproof clothing (occasional rain), notepad and pen. 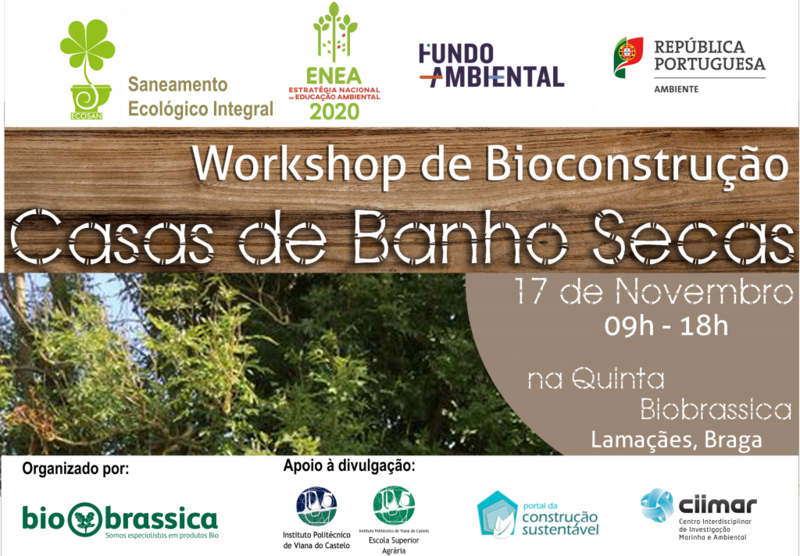 At a time when there is a lot of talk about saving natural resources and efficient use of water, Biobrassica invited a specialist in dry toilets, Madeiran Rodrigo Silva, to hold a workshop on this type of construction on 17 November at our Biological Farm , at Avenida Alfredo Barros, Fraião, Braga. Dry sanitation does not require water for its operation and does not connect to the wastewater network. In addition, it is very biologically effective. There are a variety of models and trademarks, with different shapes and designs. They may be for example: complete or partial composting dry toilets, with or without urine separation. They can also be built “in situ”. The objective of this workshop is to equip the participants with the necessary knowledge so that they can prepare their own dry toilet. 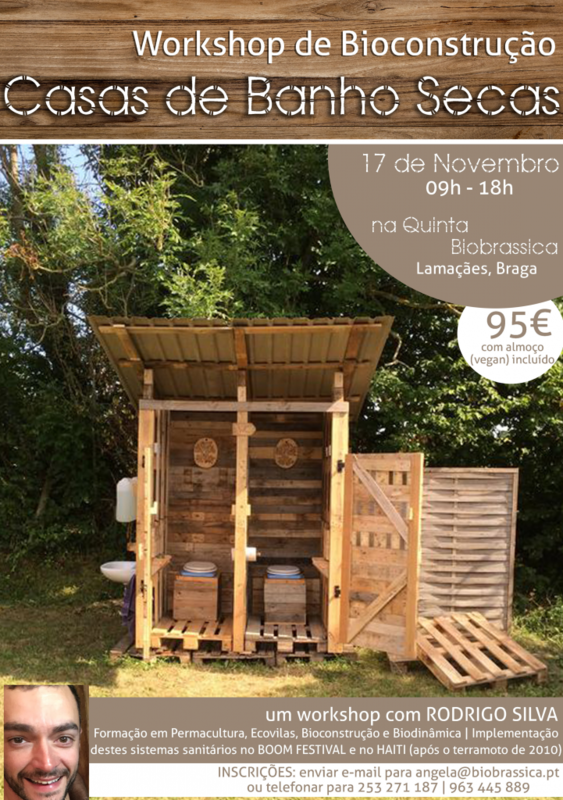 Rodrigo Silva lives in Madeira Island and has a background in Permaculture, Ecovillages, Bioconstruction, Biodynamics and other areas related to the ecology of the planet and the well-being of living beings. He has had experiences in the area of ​​ecological sanitation since the massification of toilets and dry urinals in the Boom Festival (during 3 editions) until the implementation and formation of these same systems in Haiti in 2010 after the earthquake. His great masters and friends were Hamish Skermer (NaturalEvent) and Joe Jenkins (Humanure Handbook) with whom he had the pleasure of collaborating and learning during the two events mentioned.